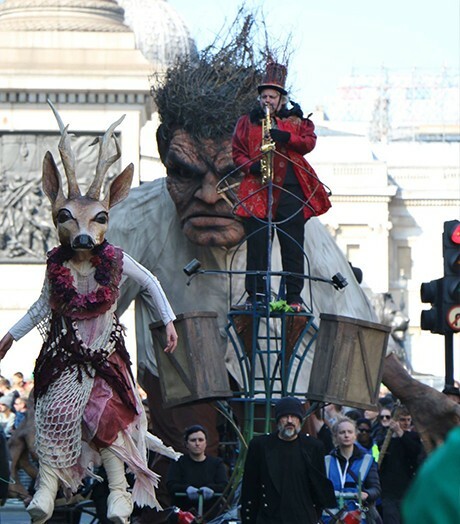 London city St Patrick’s day celebrations​ saw Crom a 16ft tall mythological kinaesthetic giant to​ take​ to the London streets. 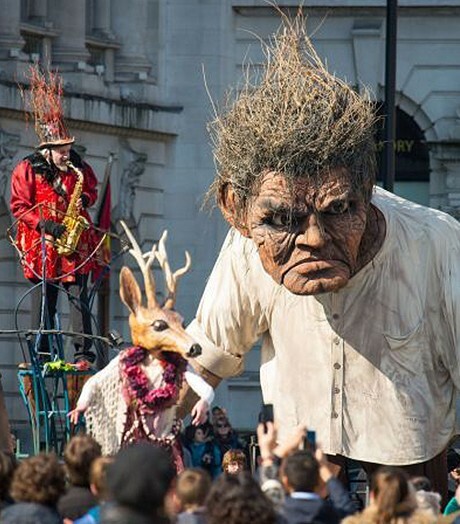 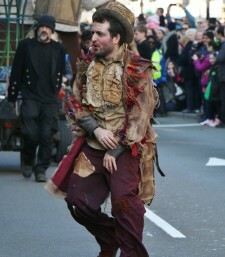 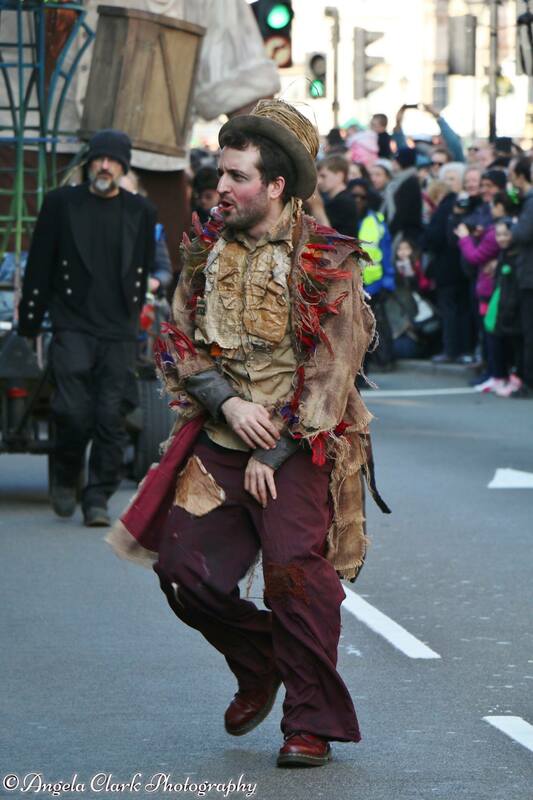 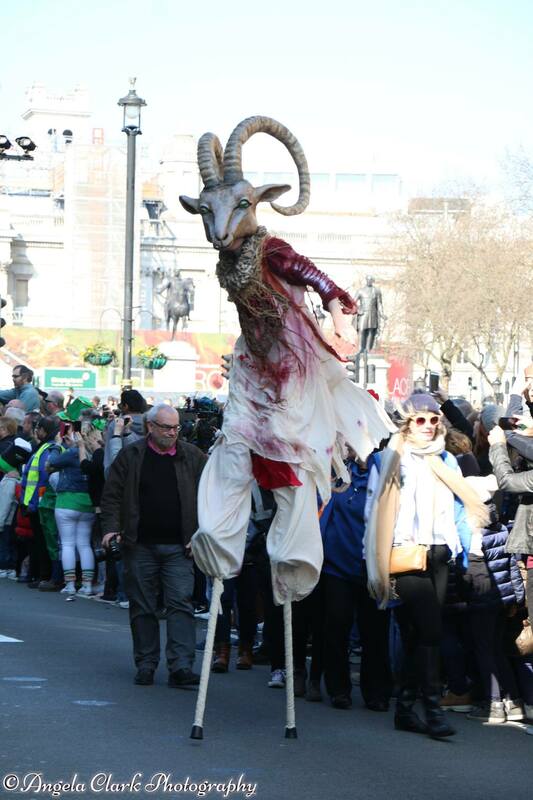 Accompanied by stoic, stunning mystical creatures on stilts ​and ​a live original music score​ emanating from a sculptural tower of brass​​, Crom captivated the crowds gathered in Central London for the St Patrick’s Day parade. 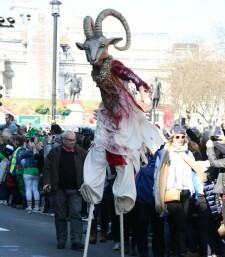 The luck of the Irish and the sunshine helped draw in the crowds with an estimated 100,000 people attending the parade and festival over the course of the day.